After hitting six-month highs in January, February Existing Home Sales slipped by 7.1 percent from the previous month to an annual rate of 5.08 million, below the 5.37 million expected. The National Association of REALTORS® (NAR) said that a low supply of existing homes and steady price growth were the reasons behind the decline. 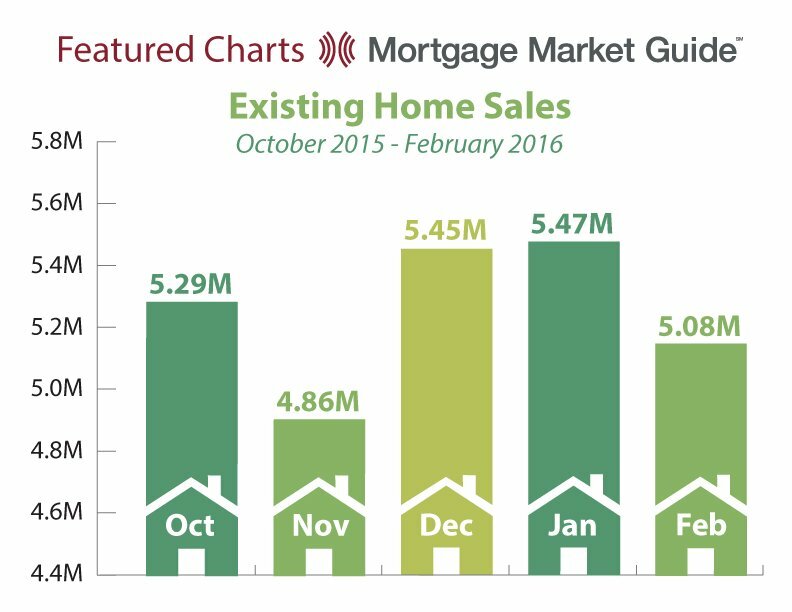 Sales are up 2.2 percent from February 2015. 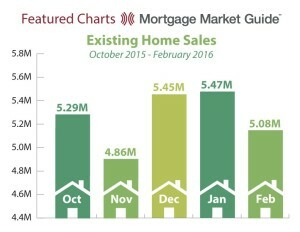 Existing Home Sales are completed transactions that include single-family homes, townhomes, condominiums and co-ops.